Kai-Nicolas ist 23 Jahre alt und wurde dieses Jahr Deutscher Sprintmeister (DWV) in der 14’0″ Klasse und Deutscher Longdistance Meister (DKV) ebenfalls in der 14’0″ Klasse. Kai-Nicolas freut sich sehr von nun an mit den Jacksons aus Australien, Chase Kosterlitz, Olivia Piana, Jake Jensen und Arthur Arutkin zu paddeln. Bester SUP Tag: Als ich Deutscher Sprint Meister wurde. Slogan: Meine Rivalen sind nicht die Anderen, sondern meine Kopf. Great to have you in our Fanatic SUP International Team! Why Fanatic? Thanks, I am super happy to be a part of the team now. Since I started windsurfing, Fanatic was my favorite brand. This didn’t change until nowadays. Fanatic is one of the brands that really keeps up with the time and is always working on better material and products. And last but not least is the international Fanatic Team one of the best with a great team spirit. Did you get a chance to try any of our boards yet and what do you think? Last week I got my new Fanatic boards and I had the chance to test the new Fanatic Falcon 12„6. 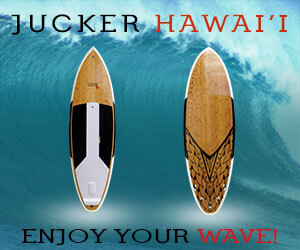 This board is super stable and you feel that the only limiting factor is the paddler himself. It has got a great capacity to speed up and when you go downwind it reacts to the tiniest wind waves. The shape of the nose works really well in up wind conditions and also during cross-site waves. How you got into Stand Up Paddling and since when are you competing? Since 2009 I participated at the German Windsurf Cup (DWC). Due to my study of naval architecture I couldn’t train as hard as necessary at the sea. 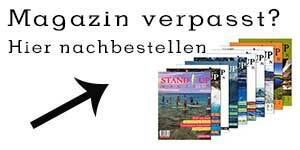 2012 the windsurfing season started on Sylt with the Summer Opening and the Formula-European Championship. At the same time the first tour stop of the German SUP Challenge took place. Because of low winds we couldn’t start an official Formula-race. That’s why I decided to paddle in the SUP-race. I simply had so much fun, that I got second in the fun-class. During the summer I paddled the other SUP Challenge tour stops and that’s how I won the SUP Challenge in the Fitness-Class. A shop asked me to go to the German Championships to represent him there. After becoming 3rd in the Fitness-Class and 4th in the Race-Class Sport-Vibrations became my first SUP-sponsor and supported me in the Season 2013. 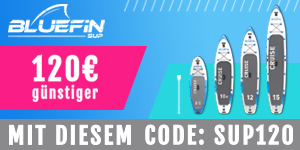 Getting this offer I decided to totally quit with the DWC and focus on SUP, which is much easier for me to train on in Hamburg and it’s plenty of waters. What do you think about your new team mates like Jake Jensen or the Jacksons? In Summer 2013 I had the chance to get to know them a little bit at the Lost Mills event here in Germany. Back then Jake was still with Naish and it’s absolutely astonishing how he improved since his change to Fanatic. All team riders appeared really friendly and I hope to have a great time with them and learn a lot from them. Which upcoming events are you planning to do next season? In 2014 I want to paddle as many German events as last year and at the same time broaden my horizon and paddle some international races. Therefore I am thinking about going to the two big French events in Oleron and St. Maxime and maybe some other International events as well. What are your plans for the winter month? At the moment I am finishing my bachelor thesis which I want to hand in by the end of November. To train better during the cold German winter I want to escape the cold and train somewhere else. I don’t know yet where it will take me, my thesis is the first priority. As soon it´s finished I am all ready for SUP training only.